Hungry? A new neighborhood Mexican eatery has you covered. The new addition to West Town, called Calavera, is located at 1438 W. Chicago Ave. Menu options include appetizers, burritos, tacos and entrees. Look for the three enchilada meal served with pico de gallo and refried beans; grilled skirt steak served with rice, beans and guacamole; and the grilled tilapia simmered in capers and olives and topped with onions, avocado and cilantro. 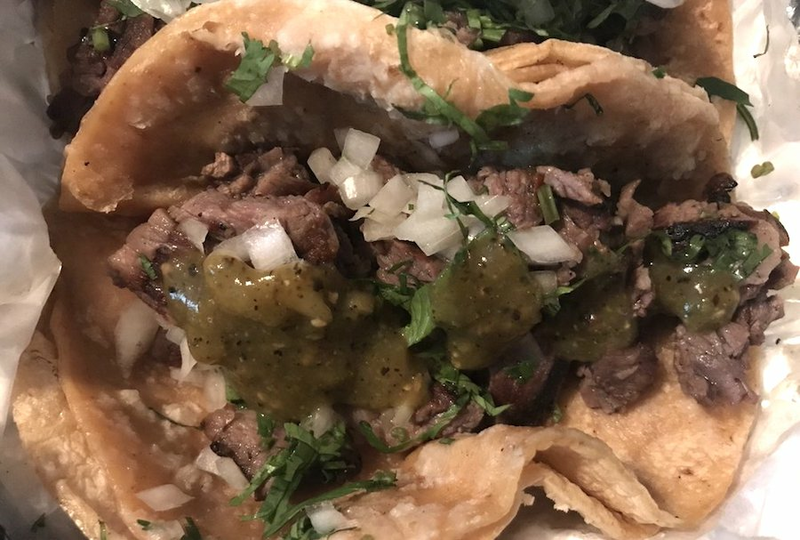 Tacos and burritos come with choice of protein (steak, chicken, pork or fish) and appetizers include elotes callejeros (grilled corn on the cob with sour cream and cheese) and queso fundido. With a five-star rating out of two reviews on Yelp so far, the fresh addition has already made a good impression. Christina A., who reviewed the new spot on Aug. 9, wrote, "Incredibly delicious vegetarian burrito that is definitely crafted with vegetarians in mind. It wasn't just a burrito sans meat. So yummy! The servers were also super attentive and kind, and the prices are very reasonable." Yelper Carmen G. added, "Finally. A legit Spanish restaurant in West Town that serves Mexican street food. Where have you been all of these years La Calavera? Ordered two steak tacos and a limonada to go. The quality of the steak was on point."